The Fate of the Alien Intrusions . After encountering the various Alien interventions and after many speculations . We can now be sure if Aliens were to visit our Home planet Earth , what advance techs they may be using out here to withstand the varying climatic conditions and other physical phenomenons . Aliens how tough they are , we can estimate this by using Synthetic biology . We normally find living creatures on planet earth living in extreme conditions from high temperature to low temperature and thus we encounter questions like if life beyond these conditions is possible. Its been found that bacteria's living in yellow stone have conditions like high temperature , so we can predict that life is possible elsewhere in the Universe . 95% of life on earth is made of carbon , nitrogen , hydrogen , oxygen , phosphorous , and sulphur .So if we find Aliens , it can be estimated that these creatures can be made up of these elements or else can be different also depending upon there climatic conditions . We can just predict that Aliens may take any shape may be they have advanced to that extent or it can be there biological advancement have replaced there biological brain with the artificial brains . 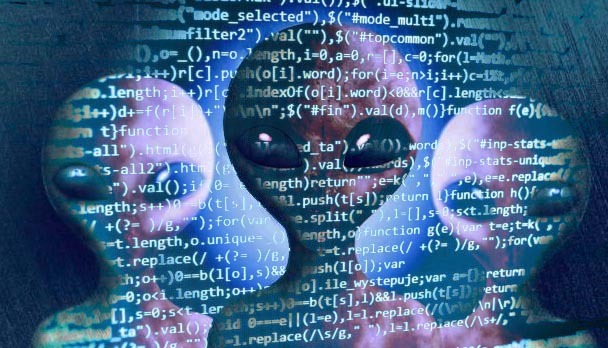 Aliens may have an advanced technologies wherein they have been using the artificial intelligence and sending artificial Alien beings to planet earth . If we consider the advancement of the alien technologies and the evidences as seen , it can be predicted that they may be using some sought of Artificial intelligence . Alien - Artificial Intelligence . 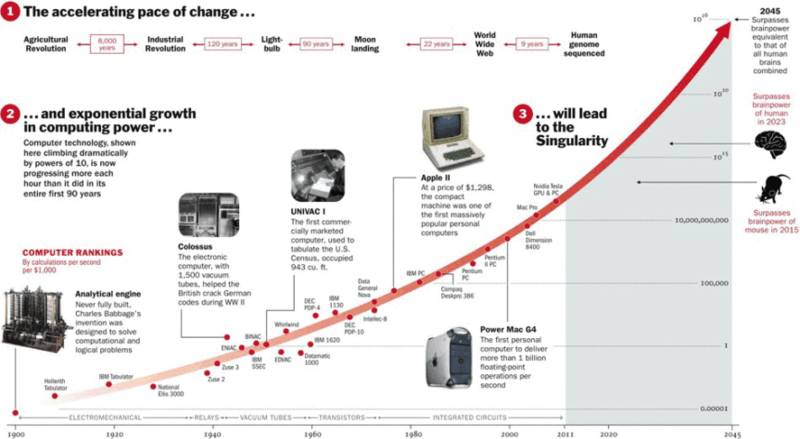 In the advent of new technology , according to Morres law , computer power doubles every 2 years . But it worked only for past 40 years from 1965 . Though there can be some serious issues as its found only 1 billion transistors are found on microchip when it was estimated to be 4 to 5 billions according to Moores law . 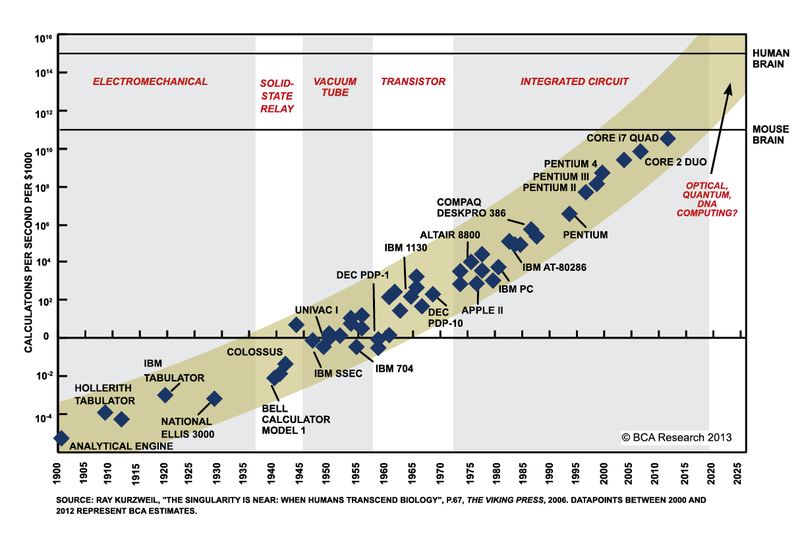 But comparable to the old testimony the transistors were increased from 23,000 on microchip to 300 million in 40 yrs . There is a decline in the numbers , may be it can be they are using some different technology . There are some potential problems in increasing the number of transistors in the microchip , gaps between the transistors gives rise to quantum tunnelling were data can be corrupted and the over heating of the chips if more number of transistors are placed and eventually melt it . So we can trust our future on Optical and laser computer , as quantum computer may not fetch the results because of quantum phenomenon and probability factors . Do Alien technologies use quantum computing or do they have some advanced techs which we may have used but its hidden from general public . So breaking the Moores law by the dawn of quantum effects may put a serious question do Aliens have mastered the quantum technology as using some advance techs which we may not be familiar with , or can be a delusion of reality still far from the reach . 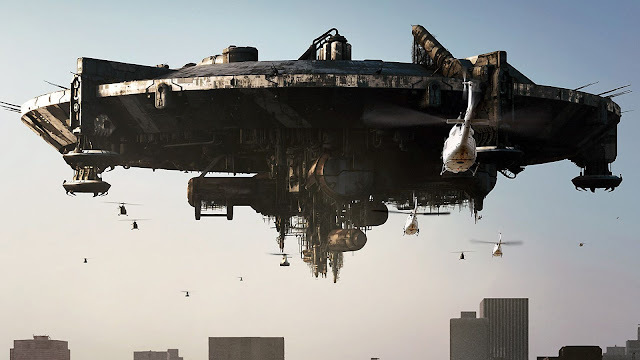 Its believed that Alien spaceship may originate from the Alien mothership . 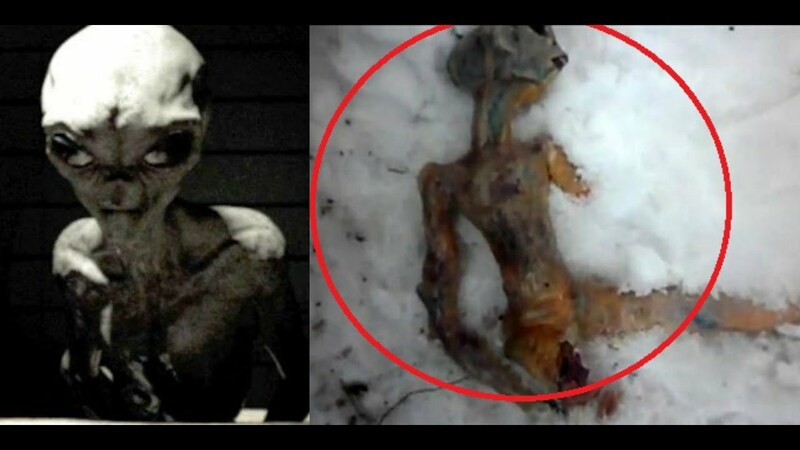 By having all the evidences of the alien contacts it can be concluded that our planet Earth was always visited by some Extraterrestrial beings . Alien - Human contact . Having such advanced technologies and the effective use of scientific phenomenon , we may predict our lost past and future . 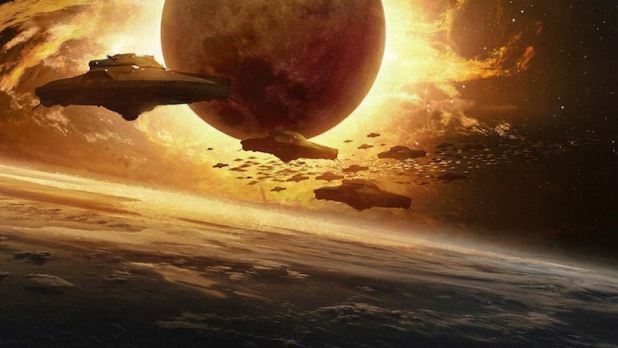 The fate of the planet and the consequences of the invasion may prove fatal to the life on earth only if they are targeting the weapon technologies and other habitable places . If the ill-fated efforts judges our future , then we can set up new morals for the future of life on planet Earth and may our deeds doesn't go in vain . 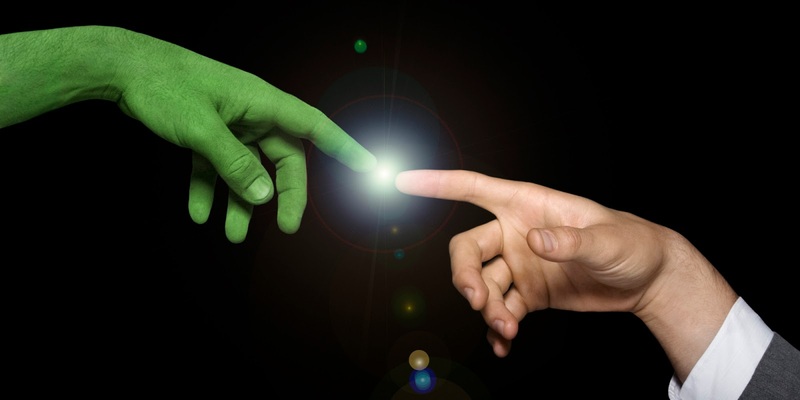 Though interventions of E.T have its traces all over , but still the conclusion is uncertain . 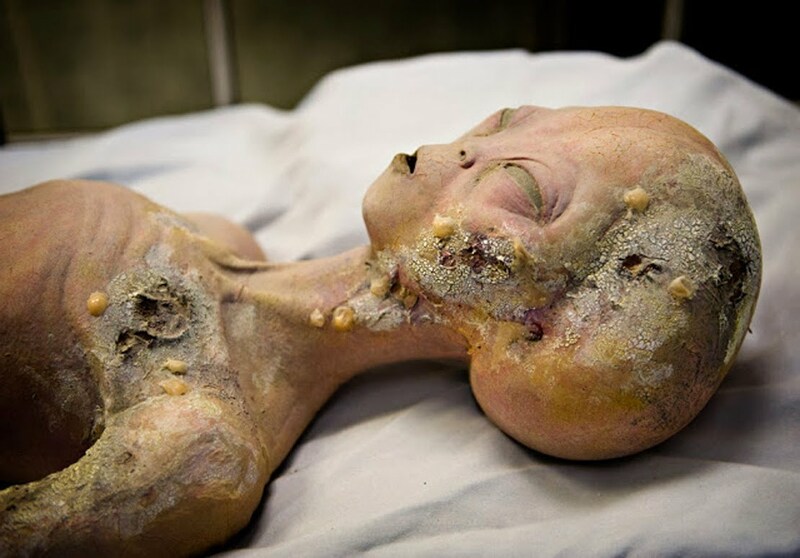 Encounters with the aliens have aroused questions in everyone , If they have to visit us travelling long distances in a short span of time it can only be possible if they were able to overcome some of the interstellar space travel challenges . The major challenge is the weight of the fuel and the speed , both should have a balance in order to propagate for longer distance without fuel getting run out . These are large surface on which photons are bounced and momentum is transferred for Sail propagation . Ideally p=mv , but photons have no mass . But this works well if we consider Einsteins E=mc^2. 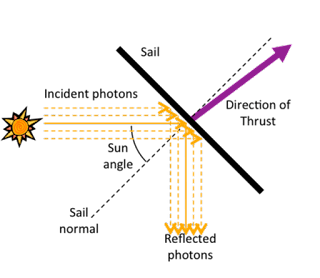 Where Energy of photons may transfer into mass and which propagates the sail using P=mv . 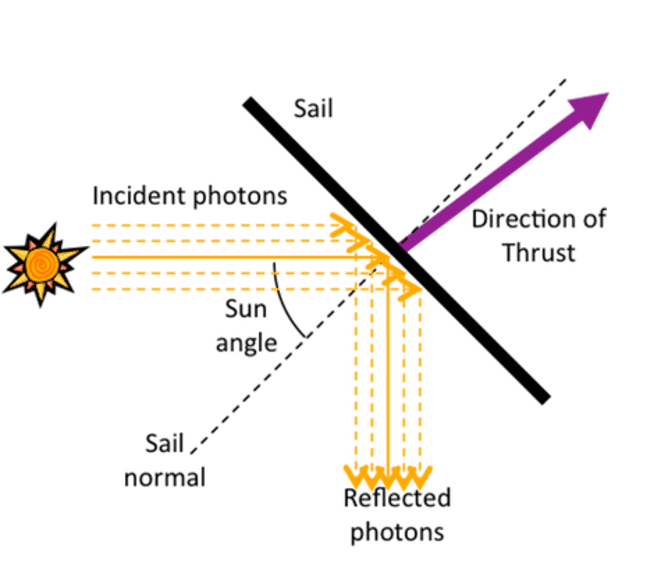 When we consider solar wind which consists of billions of protons , photons and electrons in the form of solar wind these can be captured by E-SAILS and move just like sail boats on earth use regular wind . 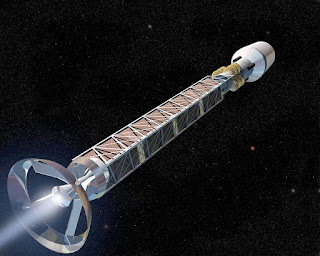 Voyager 1 reached Heliospere in 35 years , but Solar sail may reach this in 10 years . 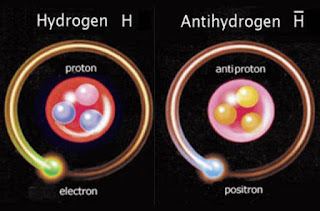 Nuclear propulsions are caused by heating the liquid hydrogen propellants and which inturn ejects hydrogen gas at a high speed propelling the Nuclear thermal rocket engine at high velocity compared to traditional chemical rockets . Impulse time of Nuclear engine is high compared to chemical engine . Isp – Nuclear 900 sec >> Isp – Chemical 450 sec , Isp – Impulse time . RD 0410 Nuclear thermal rocket engine was developed using liquid hydrogen propellants . 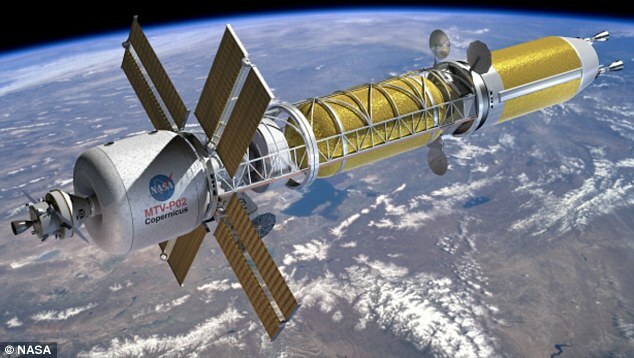 Copernicus Mars transfer vehicle . 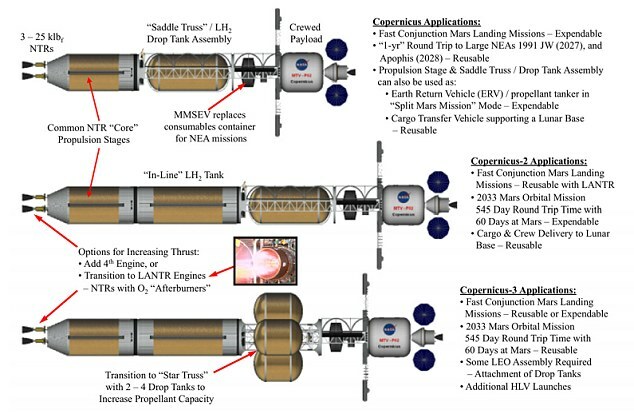 Copernicus Mars transfer vehicle - detailed structure . 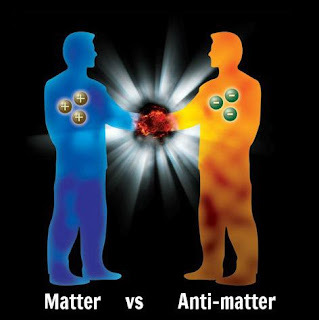 3) Matter + Antimatter . Antimatter is opposite of matter i.e having opposite properties . 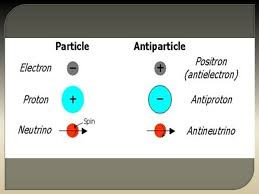 In the dawn of nuclear physics , scientist Paul dirac suggested the existence of antimatter . If X^2 = 4 , then X = 2 , -2 . 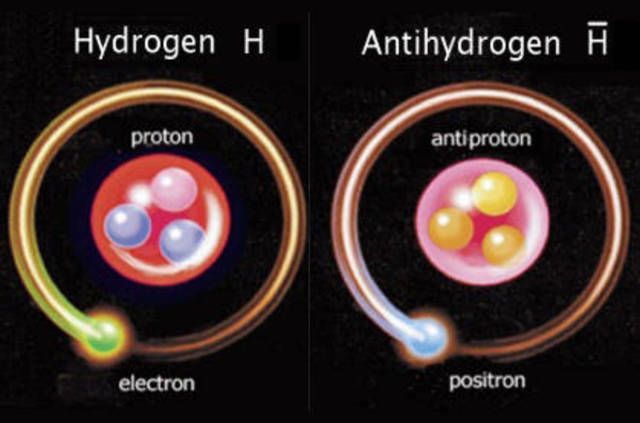 This analogy proved that there must be another kind of matter in the universe which is the opposite of matter . Now challenge is how to produce and trap these antimatter . 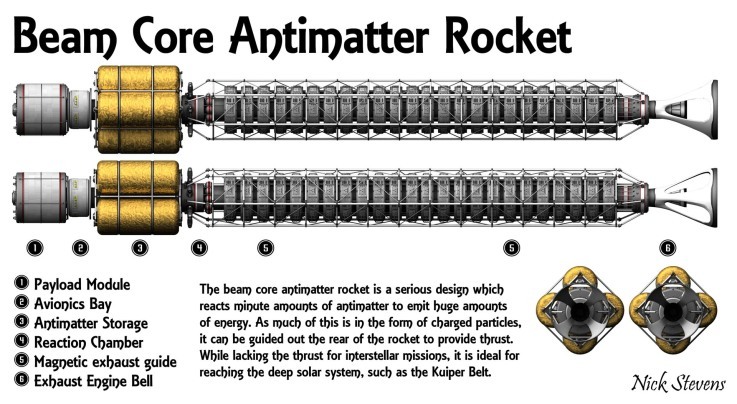 It has been shown that when matter and antimatter collide , then there is an enormous release of energy in the process call Annihilation and this can be use to propagate the space vehicles . But the major problem is to control these energy release . 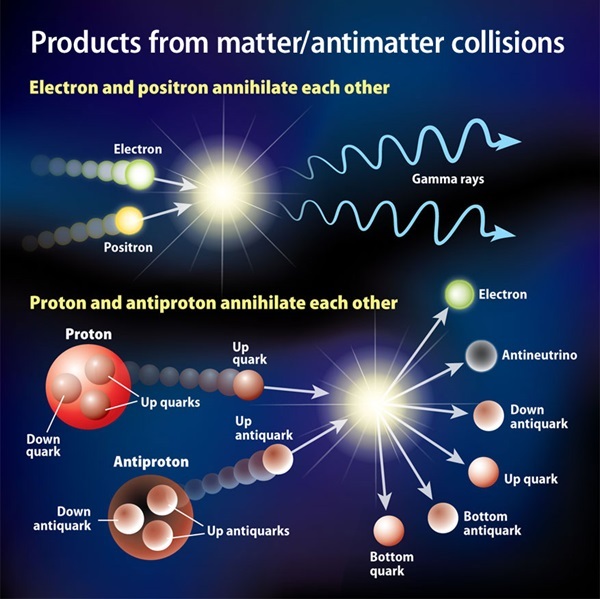 Matter and Anti-matter collisions . 4) Wrap drive + Black hole . 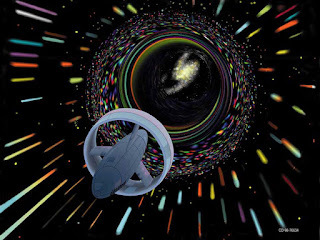 Faster than light travel possible if remained still on a flat piece of space time inside a wrap bubble that was made to move at super luminal velocity . Cosmic inflation at the beginning of the creation where the speeds reached much greater than the speed of light . 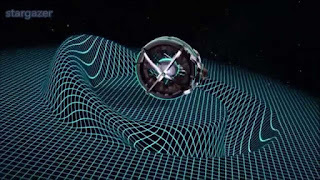 Wrap effect uses gravitational effects to compress the spacetime in front of a spacecraft then expand the space time behind it . The bit of spacetime within the wrap bubble is flat so that spacecraft would float at zero g along the wave of compressed and expanded spacetime . Net effect is like surfing , where you are nearly stationary with respect to the wave , but trending with the speed of the wave . Superluminal wrap drives require negative energy and pressure to form and maintain the wrap bubble . Empty space behind starship would be made to expand rapidly , pushing the craft in a forward direction , here traveler perceive movement despite complete lack of acceleration . Using blackhole to harness energy to wrap drive . Create small blackhole in front of ship for space wrap . 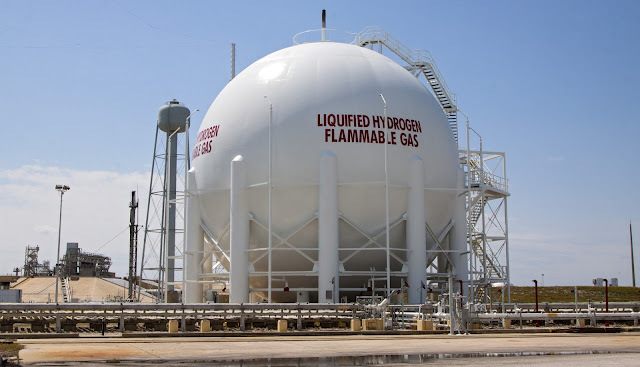 These kind of fuels can be used for the interstellar space travel , but if we do have the Alien encounters like alien sightings then it just ponders our mind of how would these species be so advanced to reach out by travelling such a long distances ?